Once you become a homeowner, you need to pay attention to all the little details that make your home comfortable, functional and valuable. One task that can promote all three of these and more is window replacement. Here are four reasons you might want new windows for your home. Replacing your current windows with ones that are more energy efficient can reduce your energy bills. This can be due to reducing an existing draft or preventing as much UV energy in through the glass. Energy efficient windows come in multiple styles and color so you don’t have to sacrifice the look of your home to reduce your energy bill. 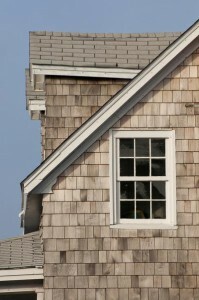 Window replacement can shore up unstable areas in your window frame and reduce how much outside noise enters your home. If you live in a noisy neighborhood either because of a nearby airport, railway or highway, new windows may help you sleep better at night. Older windows have received a lot of wear and tear and will only need more repairs the longer they stay on your home. Once your windows are newly replaced, your maintenance needs go down. This gives you time to focus on other areas of your home. New windows made from more advanced materials, such as vinyl or fiber cement, can increase the value of your home. This comes from the value gained by the other three points above and improving your curb appeal with fresh, new windows. Window replacement is a great idea homeowners with old windows who want to reduce their energy bill, block noise, reduce their maintenance costs and increase the value of their home. With many options available, you are sure to find the windows that suit your needs and fit your outside decorating scheme.